It sounds like Marvel is finally going ahead with a Black Widow solo movie and they may have found a writer! 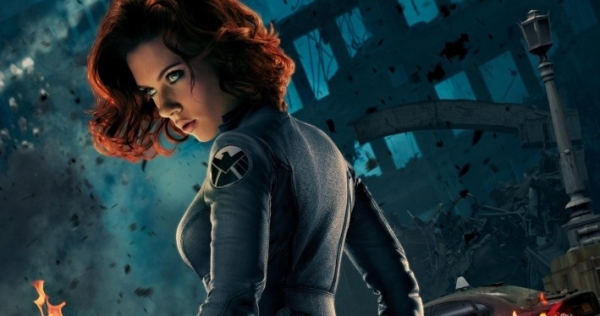 Fans have been clamoring for a Black Widow solo movie since Avengers and they may be getting their wish. Variety is reporting that Marvel is close to hiring Jac Schaeffer to write the script for a movie starring Natasha Romanov aka Black Widow starring Scarlett Johansson. Johansson told Variety in 2016 she'd love to star in a solo movie and even had ideas about how it would work saying she talks about it "with them often". "I would like for it to happen under the right circumstances," she said. "I think there's a lot of opportunity to mine that storyline. She's got a really rich origins story. There's a lot of places you can go–you can bring it back to Russia. You could explore the Widow program. There's all kinds of stuff that you could do with it. You could really uncover the identity of who this person is, where she comes from and where she's part of." It's in the very early stages and the movie doesn't have a green light, but the report says "naming a writer is the closest the studio has come to moving forward on a standalone pic". Marvel President Kevin Feige met with several writers before going with Shaeffer. The word is Marvel execs met with Johansson to discuss what they wanted from a "Black Widow" writer before selecting her. Schaeffer is a film director, producer, and screenwriter known for her 2009 feature film debut TiMER. She broke out with her coveted script "The Shower," a comedy about "an alien invasion during a baby shower" which Anne Hathaway quickly attached herself to star. Marvel hasn't confirmed the report but this is big news for fans and shows that Phase 4 of the Marvel Cinematic Universe is going to be huge! What do you think about a Black Widow movie?